Although breath analysis is probably the most commonly used technique by law enforcement in attempting to establish whether or not a suspect was driving with alcohol in the system beyond a legal limit, the reliability of the tests has been called into question. Some scientists and experts think that breath tests, as they are currently administered by police, are very inaccurate, as far as their ability to measure blood alcohol content or BAC. Some courts have thrown out breath test results because of their unreliability. In 2002, the Washington Supreme Court ruled that a woman couldn't have her driver's license suspended because of possible problems with the reliability of an alcohol breath test. The woman challenged an administrative suspension of her driver's license. The case focused on the reliability of thermometers used in breath-test machines. The thermometers are used to test the machines' accuracy. Operators test the machines by getting a reading from an alcohol and water mixture. That mixture must be kept at 34 degrees centigrade, and that is where the thermometer comes in. The Supreme Court ruled that because evidence wasn't produced to show that the thermometer on the machine used to give the woman a breath test had been certified as reliable, her license couldn't be suspended. At least one court has even reversed DUI convictions on the grounds that breath tests are inherently unreliable. In State v. McGinley, 550 A.2d 1305 (N.J. Super. 1988), the New Jersey Superior Court, Law Division, considered the consolidated appeals of four defendants whose convictions involved Breathalyzer tests. Although noting that the New Jersey Superior Court had essentially taken judicial notice that the Breathalyzer models "900 and 900A are scientifically reliable," the court nevertheless felt free to consider new scientific evidence not previously available. The breathalyzer is designed to test persons having a 2100/1 blood-breath ratio. Such ratios in fact vary from 1100/1 to 3200/1. The variance can produce errors in test results. In fact, high readings were taken in 14% of the population. The temperature of the machine itself varies, thus affecting test results. Body temperatures in fact vary between human beings, also affecting test results. Hematocrit, or the solid particles in whole blood, vary (particularly between males and females, which also affects test results. Even with some inherent unreliability in various breath testing machines, errors may be magnified if police do not follow proper procedures, such as in calibrating a machine, testing blank specimens, or in making sure a suspect is not affected by his or her ambient environment. 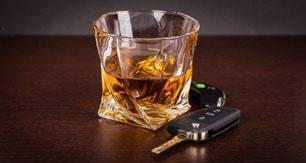 A good defense lawyer will know how to challenge the accuracy of breath test. That is one reason to make sure you hire one of America’s DUI and DWI Defense Attorneys to represent you. State laws may vary. Please consult an attorney for legal advice on actual application in your state.